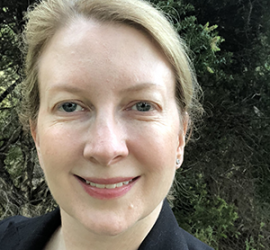 Helen is responsible for ensuring Sydney Airport’s security measures deliver regulatory compliance, operational efficiency and high service standards. She also oversees the airport’s emergency management arrangements. Helen is co-presenting on Sydney Airport’s response to the July 2017 disrupted terrorist plot. The coordinated approach enabled Sydney Airport to deliver an integrated suite of heightened security measures, and swiftly alleviate capacity pinch points within the operation. Between 2004 and 2011, Helen was a Manager within the Commonwealth Bank’s security department. Her advisory services were focused on assisting the business through enhanced fraud detection programs and the systematic application of risk management principles. Prior to joining the private sector, Helen held various roles in the Australian law enforcement and intelligence community. She holds a Master of International Studies (with Merit) and a Bachelor of Arts (Honours) from the University of Sydney.